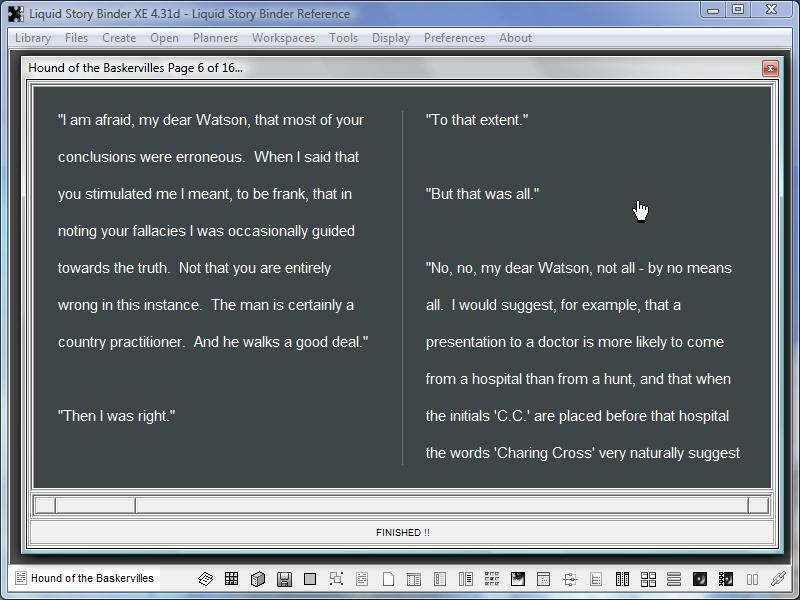 The Reader allows you to view your documents in a clean, multi-columned format much like a book. Color and font options make proof-reading easier. 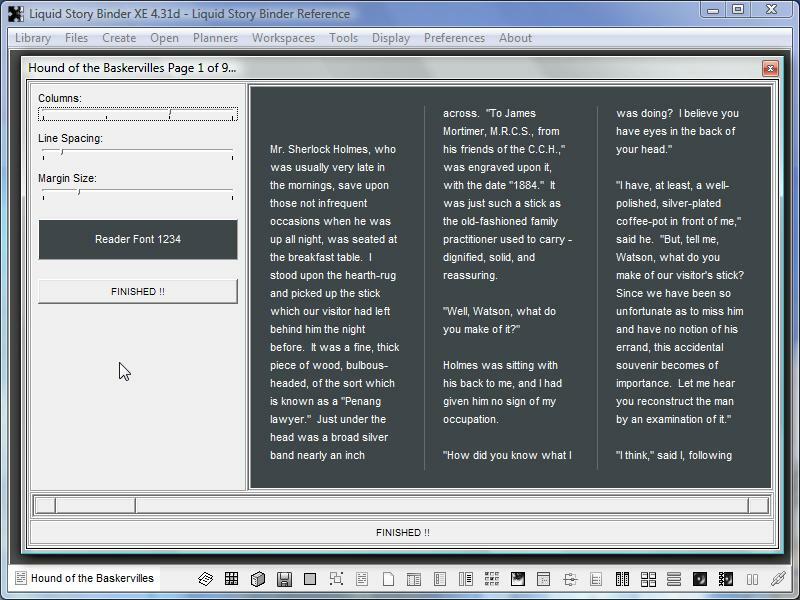 To open the Reader, choose 'Reader' from the Chapter, Builder, or Journal 'Tools' menu. 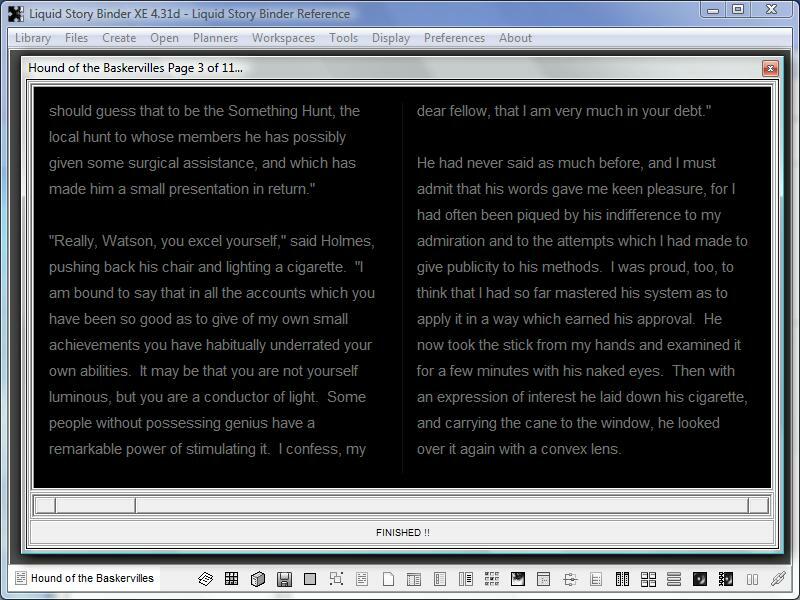 Click the right or left sides of the Reader display to change the page. Press SPACE, ENTER, PLUS, LEFT, PAGE-DOWN to turn the page forward. Press BACKSPACE, MINUS, RIGHT, PAGE-UP to turn one page back. Press HOME to go to page one. Press END to go the end of the Reader. 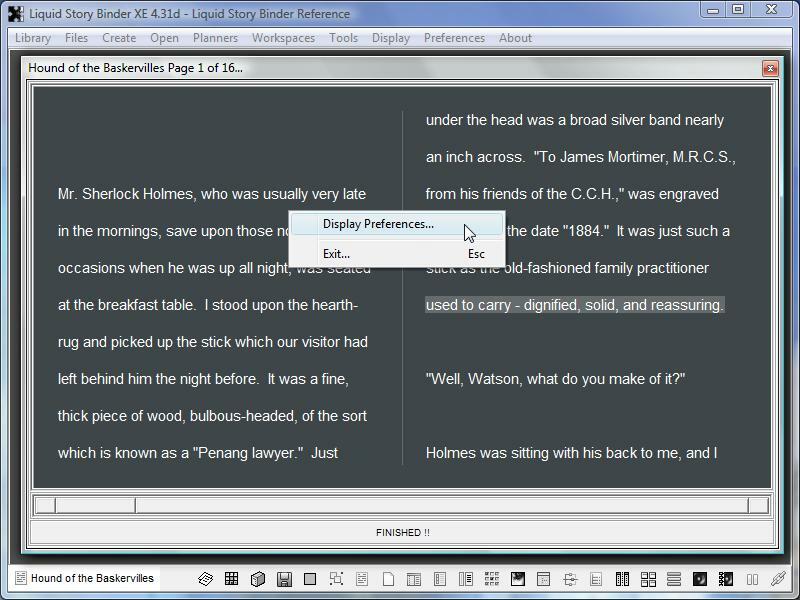 Right-click the Reader window to change your reading display preferences. 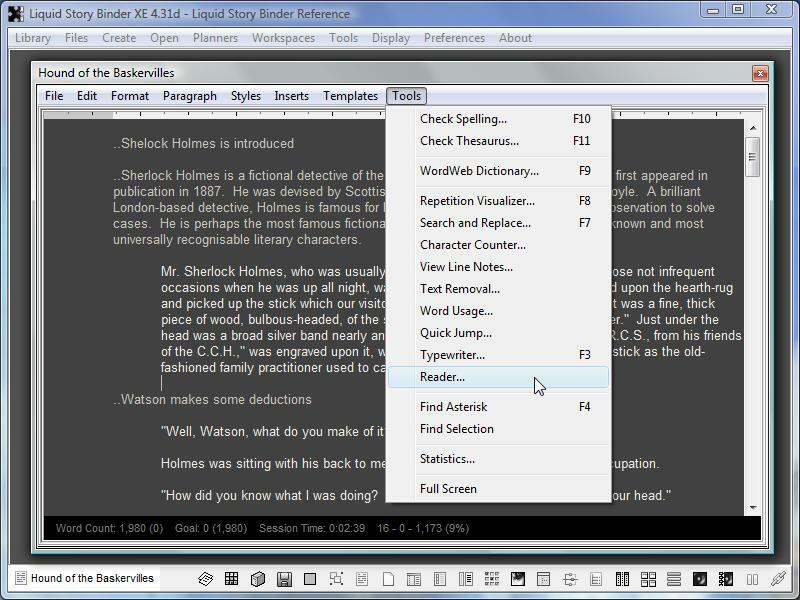 Use the Reader 'Preferences' panel to change the number columns, line spacing, margin size, and font. 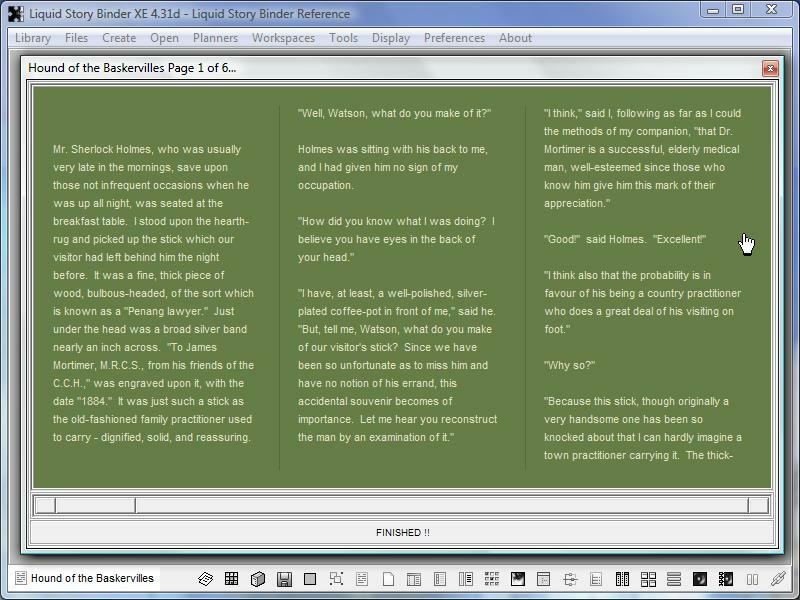 Further enhance the Reader display using a preferred Color Scheme.